The latest news in this whole Stop Online Piracy Act (SOPA) and Protect IP Act (PIPA) is that Senate Majority Leader Harry Reid delayed the debate until Tuesday (Wednesday NZ time). Firstly so we have an understanding, these bills work together, they are ‘sister bills’, SOPA in Congress and PIPA in the Senate. The purpose of these acts is to “tackle the problem of foreign-based websites that sell pirated movies, music and other products.” For me, that in itself is not a bad idea, there is a problem with illegally downloaded copyrighted product, and I do think that taking a song, album, piece of software or movie is theft, however we get into problems when we try to figure out who is to be held responsible for these downloads and how we hold them accountable. Yesterday, on behalf of the FBI, NZ Police raided the old ‘Chrisco Mansion’ in Coatsville and arrested several NZ Residents for their involvement sharing copyright property via their website MegaUpload.com which is said to be the worlds largest file sharing site. Not that we have the full story yet but I think this case will go far beyond the SOPA and PIPA issues as in news reports of the last 24 hours numerous more serious charges have been laid against these gentlemen like ‘racketeering’ and ‘money laundering’, that just says to me there’s more to this particular case than sharing the latest Rhianna album. It also needs to be noted that SOPA and PIPA haven’t even gotten close to being passed yet so whilst this has become the poster child for the potential power of those acts, it really doesn’t relate to them. That all being said I am a little uncomfortable with three elements of this case. Something doesn’t seem quite right when all these artists are singing…literally…the praises of this ‘evil site’. This conversation then splits into several ‘strands’. The first is internet piracy. I am completely against the idea that someone, somewhere can get for free, a piece of art (be that music, movie, software…whatever) when they should be paying for it. If you or I had intellectual property to a physical item, we wouldn’t be happy about someone taking for themselves, then copying that item and passing it around for free. This would effect our sales. To me internet piracy is theft, there is no other explanation…taking something for free, when the owners of that item want to you pay for it…is theft. The second is, “who are the pirates?” Which becomes cloudier. Example, I watched an episode of South Park the other day on line because I missed it on the TV. Now it was free to air on FOUR, but technically what I did may have been illegal…have I committed a crime under current law, or under newly proposed copyright law? I am not sure. If it was ‘free’ on FOUR then is getting it for free on the ‘net seems ok. But technically maybe not. And then there’s also the issue of copyright holders ‘losing revenue’. I wouldn’t ever use this as an excuse for ‘stealing’ but there is truth in the idea that some people who download copyrighted product from the internet will never purchase that item, so there is no money lost. This is a weak argument for ‘stealing’ but there is some truth for ‘a few’ internet users. The third is who should be responsible for that theft and how should they be held accountable. Well again that becomes cloudy. If it was a physical item being stolen, then it’s the person who takes the item from the shop that you would charge…but these are not physical items and there needs to be many complicit people involved to make this file sharing work. Therefore it would seem that the logical conclusion to to make the site accountable…easier said than done. If the site is active in the distribution of the copyrighted material, then fair enough, hold them accountable. But what is someone uses the site for reasons it wasn’t intended. 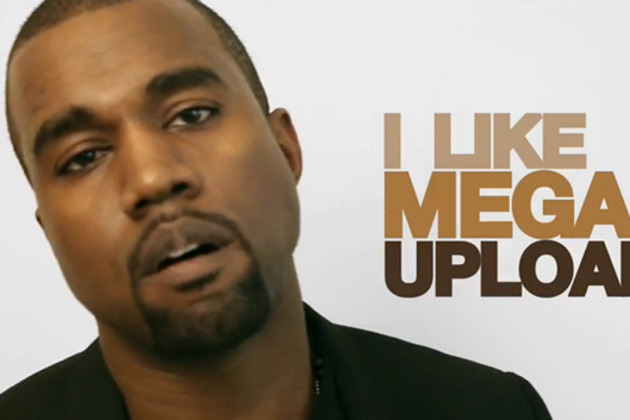 MegaUpload.com seems on one level to be a valid way of people sending their files around the world, just like DropSend or Box.net and many others. So what if the people running that site are just being used as ‘pawns’ for illegal activity to happen around them? It could be the difference between lending someone your car to rob a bank, and having your car stolen and it then being used in a bank robbery. In one case their is active accountable…in the other there isn’t. That’s what sites like Wikipedia are worried about, someone puts a link on one of their articles, then technically they will be in breach of these new laws. Jon Stewart had an interesting take on it, click here to see as WordPress doesn’t allow flash to be embedded. To me it seems like this is an issue of Corporations wanting their pound of flesh, and they are entitled to it. The Corporation pays for the album, movie, television show…whatever…and they don’t want it stolen. It’s a little different in places like NZ because our artists, especially music, really do struggle. In larger societies I don’t think downloading the latest Coldplay album would effect Chris Martin’s net worth…but done enough times it would affect Capitol Records profits, dones over 100 artists at Capitol Records…well you can see how it works. But what always seems difficult to understand is how Corporations get the support of, and action taken by, federal agencies like the FBI so quickly. In 2010 the Supreme Court of the USA decreed that Corporations have the same first amendment rights as people when it comes to Freedom of Speech, it’s called Corporate Personhood. Corporate personhood is the status conferred upon corporations under the law, which allows corporations to have rights and responsibilities similar to those of a natural person. There is a question about which subset of rights afforded to natural persons should also be afforded to corporations as legal persons. This gave Corporations the right to spend as much money as they want on political campaigns but I think it has gone so much further. I think today, in America, Corporations have far more rights than people. And one of the scarier parts of this is that Corporations, in America, have more rights than people who may, or may not be doing some illegal, in a mansion in Coatesville. It seems that the legislation is far too heavy for the issue at hand and will catch out many whom the acts are not aimed at. I wouldn’t say it was using a sledgehammer on a fly, as the issue of copyright infringement is much larger than a ‘fly’ but maybe it’s something like demolishing a building with an atomic bomb.